The stigma that follows infertile women more often than not leads to complex and devastating consequences. These range from isolation, ostracism, discrimination, disinheritance, physical and psychological assault and even divorce. “Merck More than a Mother” is a pan-African initiative that aims to build fertility capacity, raise awareness about prevention of infertility and male infertility. It also opens a dialogue to define interventions to reduce the stigma and social suffering of infertile women in Africa. Through “Empowering Berna” project “Merck More than a Mother” will support infertile women who can’t bear children anymore to establish their small business so that they can re-build their own independent and happier lives. They can be more than mothers. “It is very important to empower infertile women through improving access to awareness and fertility care so they can bear children as part of their human rights. In case they can no longer be treated, “Empowering Berna” project will contribute towards empowering and training them to establish their own small business so that they can be independent and re-build their own lives, a woman is more than a mother, “Empowering Berna” initiative will prove this every day,” conveys Rasha Kelej, Chief Social Officer, Merck Healthcare. Four African women have so far been supported through “Empowering Berna” to establish their small business and are now more than mothers – proud, independent and happier. All of them have suffered isolation, discrimination, physical and psychological assault and even been disinherited and divorced due to infertility. Below are their stories of suffering and their life transformation after meeting “Merck More than a Mother”. Berna Amullen is a Ugandan woman who became infertile as a result of an untreated sexually transmitted disease. She was diagnosed too late to be given proper treatment and she lost the hope of being a mother and leading a happy life. This experience left Berna with so much agony she says. “I used to work with my husband, but he sold off all that we had acquired together so that he could marry another wife. He doesn’t even look at me as a human being anymore. He called for a large clan meeting and publicly disowned me. He even took away the farming fields that the elders had apportioned me. I was just left with a hut. He called me that stupid, barren and hopeless woman. “She has no use here,” he said. Watch this video to see Berna’s story of suffering due to infertility. Through the “Empowering Berna” project, Berna has been able to establish a chicken farm that has helped bring back her confidence and dignity. The society now looks at her as a woman of substance. “I used to live under tough conditions before this project up-lifted me as a woman, I am now happy and my business is progressing well. I am lucky to have been able to begin a chicken project. I own a poultry house and chicken that I feed every day. I am very happy that this project has changed my life,” Berna proudly says. You can watch Berna’s story of empowerment here. 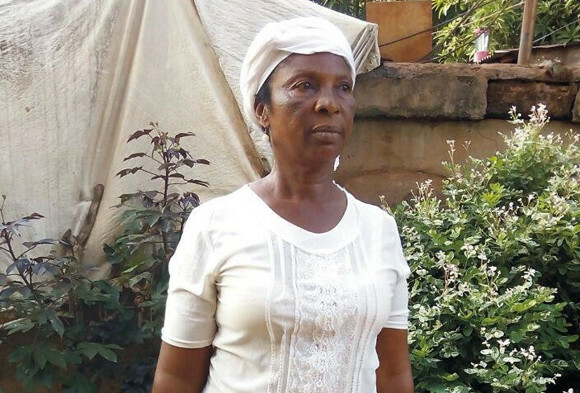 Fifty-seven year old Grace Kambini from Kenya realized nine years into her marriage that she could not give birth. Both her husband and his relatives started abusing and insulting her. These extended to her home where she was tortured and frequently denied food for weeks at a time. Her husband did not care about her woes. Watch her story of suffering here. “I remember asking my husband, how long I will continue to live this misery. He replied –‘You refuse to leave my house as if your parents are dead, if they are dead you should ask them to open their grave so you may join them. You are of no use to me’. Every time I remember his insult or talk about it, I feel faint and out of breath. Due to the stress I endured I suffered hypertension and diabetes, now my life is about injecting insulin day and night,” Grace said crying. Her husband of 10 years divorced her and she started living alone with no one to support or advise her. Life became harder with each passing day. To sustain herself, she started her own small business selling potato chips by the roadside. “Merck More than a Mother” helped Grace to stand on her own feet by building a small local kitchen and cafeteria for her. In addition, Grace will also be enrolled with the Kenya Chamber of Commerce – Women in Business which will help her to network with other entrepreneurial women, thereby giving her a platform to generate even more business. Watch Grace’s story of empowerment here. “My suffering and stressful life is over now I am a new person. I can now walk with my head up knowing that I have a great business that will sustain me. I am very happy with this program and I wish that Merck can continue helping many other desperate people in this world,” says Grace with a smile. Chinelo Azodo from Nigeria is 45 years old, childless and a widow. Since getting married 13 years ago with the hope of getting children immediately and none coming, her life was been very difficult and full of ridicule and abuse from her family and community. 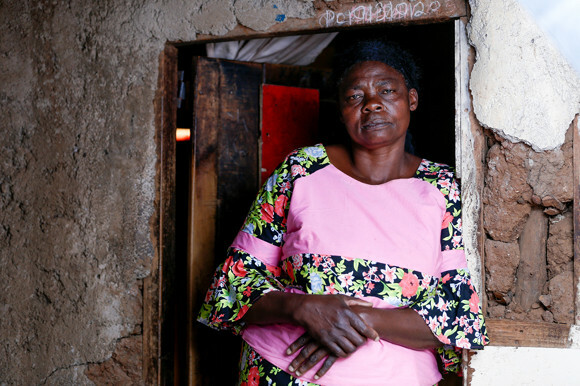 Chinelo has suffered constant abuse from her family and this has made her life even more miserable. “Outsiders call me an old childless woman and mock me, asking me about who will help me in my old age, whether the goats and dogs will help me with the chores. These words really hurt me and I usually cry about such insults,” Chinelo says. Her husband passed on in 2015 leaving her a widow and at the mercy of her in-laws. She is at risk of being thrown out of her matrimonial home after the traditional mourning period is over since her husband is now dead and she has no children to show from her marriage. Chinelo has been a tailor earning less than $30 per month. 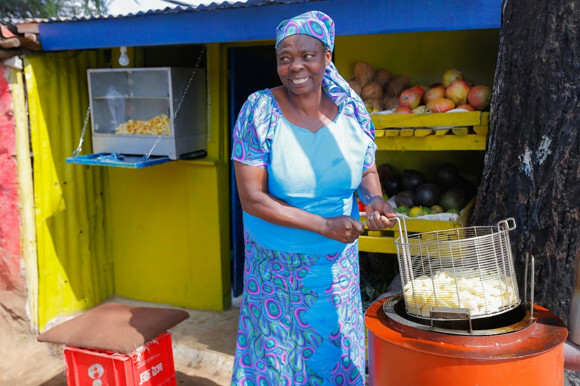 “Merck More than a Mother” has come to Chinelo’s aid and have helped her venture into a new business and she is now the proud owner of a restaurant. This has restored her faith and desire to continue living. She no longer feels hopeless. She is now able to earn about US$ 120 per month up from the US$30 she got from providing tailoring services. Watch Chinelo’s story of suffering and empowerment here. Noonkipa Enole Mpalush, a 55 year old childless Maasai woman lives in the heart of Kenya. Her husband left her 15 years ago because she could not bear children. She was constantly blamed and the finger pointed at her over the fact that she could not bear children; she was made to feel as if she was the sole problem for not being able to bear children in her marriage. 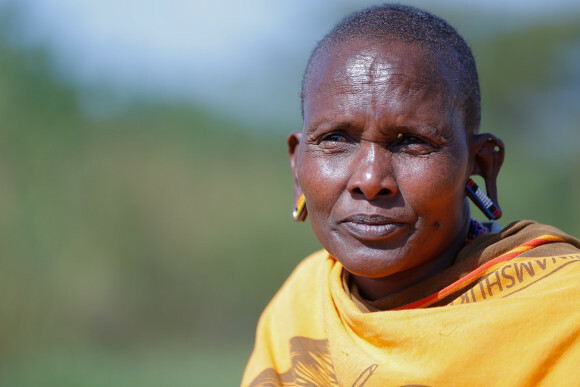 “Being an oppressed infertile Maasai woman is the worst thing that can happen to anyone,” Noonkipa says sadly. As part of the initiative to empower and train women so that they can re-build and lead independent and happier lives, “Merck More than a Mother” has provided Noonkipa with two cows to enable her to become a productive member of society. Each cow can produce six litres of milk per day. With two cows, she will be able to make around USD 6 (Ksh 600) per day. Watch her story of suffering and empowerment here.